Small extension to the side of a house creating a study and a play room start to finish in 6 weeks. I recommend this highly professional team who take pride in their work. Always punctual, polite and friendly, all work was completed to a very high standard. 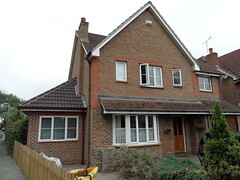 ABD Construction is a building company providing quality building work in the Twyford, Wokingham and Maidenhead areas. ABD Construction is owned and managed by Garry Summersby, a hands-on manager with over 21 years in the building industry who will supervise your project from start to finish, taking care of all details to ensure the best possible results are achieved. We pride ourselves on our transparent pricing structure. All our work is clearly priced on our quotations and then completed within the stated time frame and on budget. Not only that but at ABD Construction we pride ourselves in offering a flexible and sympathetic approach. We understand your day-to-day needs, minimise disruption and develop long-term relationships whilst providing workmanship to the highest possible standards.